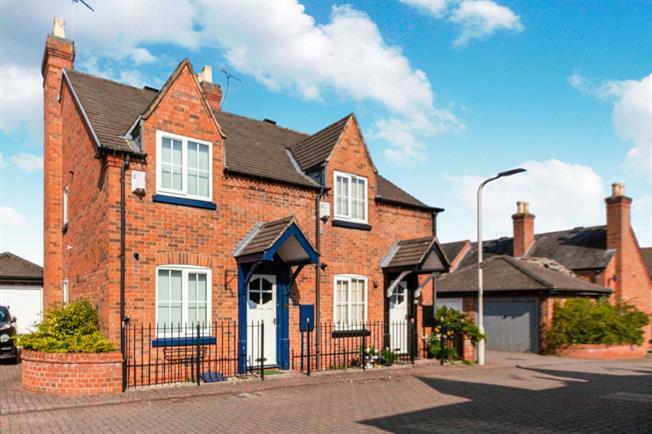 2 Bedroom Semi Detached House For Sale in Leicester for Asking Price £240,000. Occupying an attractive corner plot located in the heart of Rothley is this rare two double bedroom semi detached house. The property has been redesigned and upgraded throughout by the seller to offer appealing living space throughout with the added benefit of a single garage and tandem driveway to the side. The property comprises hallway, kitchen with dining area, lounge, two bedrooms and modern bathroom. Main features include fitted wardrobes, gas central heating, double glazing, fitted kitchen appliances, appealing flooring and decoration, private laid to lawn rear garden, LED spotlighting, under floor heating in kitchen, built in storage, feature fire, enclosed laid to lawn rear garden and quiet cul de sac location. Price reflects the property partly furnished. No chain.